1910 Character home, beautifully updated in 2011. 3 beds up with a full bath and the main floor has a large living room, eating area plus dinning room & entertainment sized kitchen w newer cabinets and appliances. 3 skylights flood the home with natural light. The sun deck is updated & professionally enclosed. The basement is set up to give the main floor use of one bedroom, w option to be a 1 or 2 bed suite, private entrance, storage and laundry. 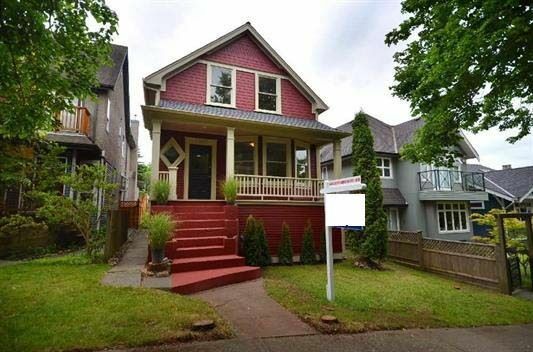 Features to note, original fir floors, wainscoting, plate rails and baseboards, some new fir windows, insulation to walls and attic, Miele laundry, electrical, roof and plumbing. 1 car garage and fenced yard. It’s a beauty. First showing Feb 24 & 25 @ 2-4 pm Home qualifies for conversion to a triplex strata with a separate titled infill house.